Click Here for the 2018 Gaziano Lineman Award Banquet Video! We'd like to invite anyone interested in the Frank J. Gaziano Memorial Offensive and Defensive Lineman Awards to join our Facebook Group. The Frank J. Gaziano Memorial Offensive and Defensive Lineman Awards are presented annually to the Maine high school football offensive and defensive linemen who epitomize the character, leadership, and perseverance of Frank J. Gaziano. After an outstanding high school, college, and professional football career, Mr. Gaziano became a successful businessman, community benefactor, and family man. Mr. Gaziano's passion for sports and commitment to high school football in Maine. Using Mr. Gaziano's own words; "I love athletics. Sports is the healthiest thing that can happen to us today." 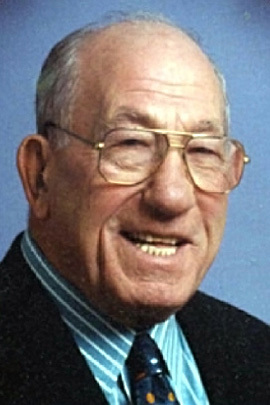 The Frank J. Gaziano Memorial Scholarship Awards Committee is guided by the highest standards of athleticism, scholarship, and community service - values Mr. Gaziano promoted throughout his lifetime. You can download an application for the Frank J. Gaziano Offensive and Defensive Lineman Awards in Microsoft Word format by clicking on the link below.